I LOVE ribs! 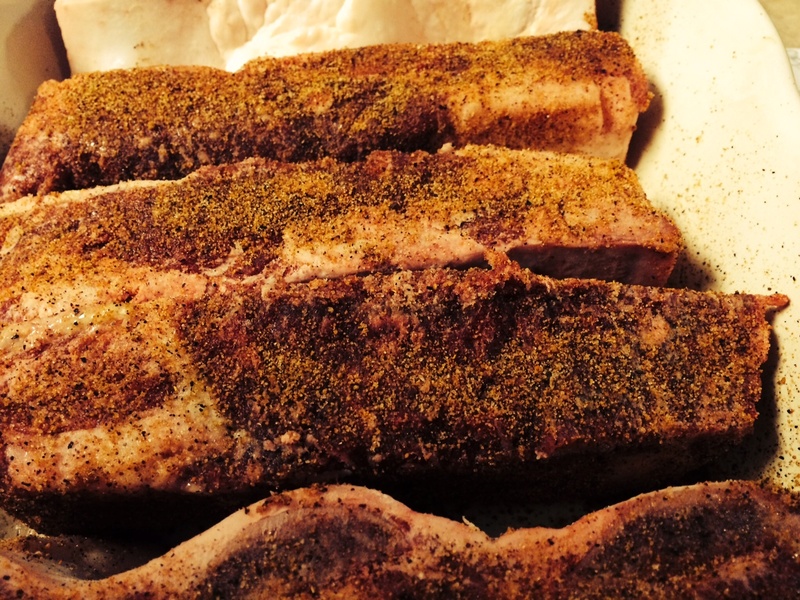 So much so in fact, that if I was putting together a menu for my “last meal” – ribs would make the list. My family likes to boil our ribs first – it decreases the amount of fat that can drip onto the fire, thus decreasing grease fires! We then throw the boiled ribs on the grill, and with less chance of grease fires, you can truly get a nice grilled flavor. 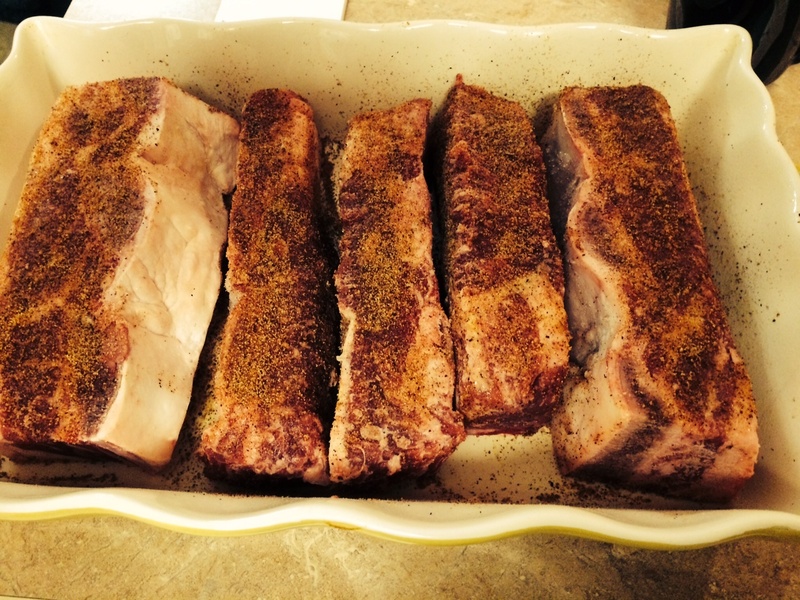 BUT, since it has been so darn cold I opted to try another method of rib cookery – slow roasting in the oven. They turned out awesome, and had such a rich beef flavor; I would definitely make them again! 1. Completely defrost your ribs (my beef ribs were great and I bet pork ribs would be too). 2. Pre-heat your over to 325 degrees Fahrenheit. 3. Put the ribs in a 9×13 pan (I sprayed it with cooking spray first, just to make clean-up easier). 4. Cover with your favorite rub, sauce, or marinade (I used my favorite meat rub). Oh don’t they look good !? 5. I did not add any liquid to the pan because the ribs had enough fat, I knew they would not burn to the bottom. If your ribs are leaner, you may want to add a small amount of liquid. 6. Cover with foil and put in oven. 7. Let slow cook approximately 3.5-4 hours or until they become a nice brown color. You will start to smell their tasty goodness as they cook. 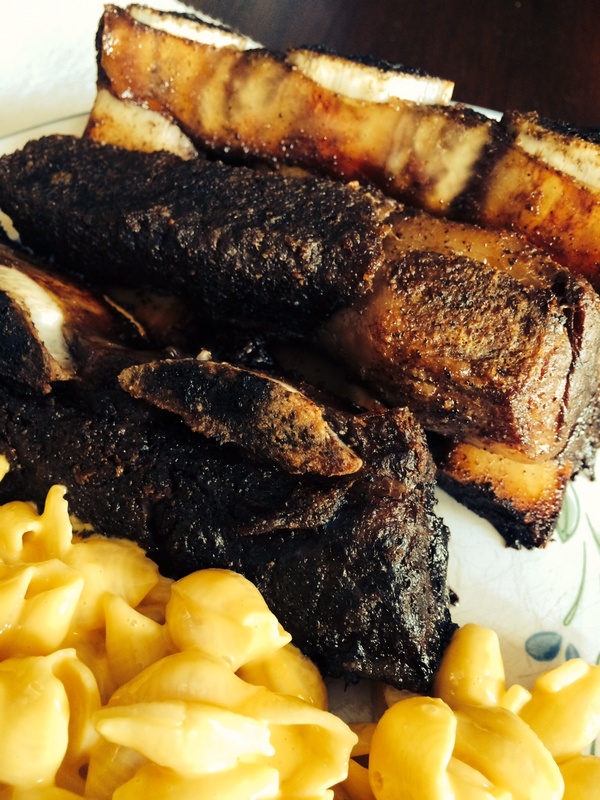 Delicious ribs, with some mac-n-cheese! !